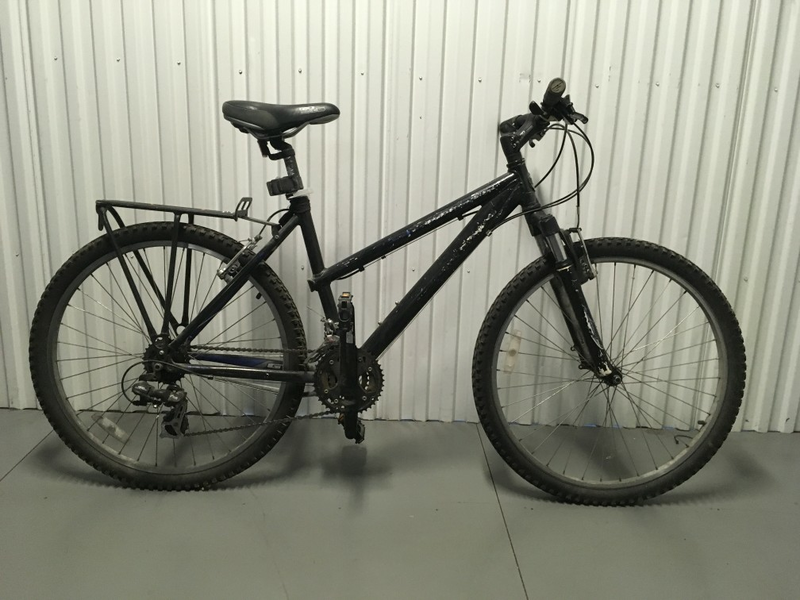 Size 13" mountain bike with 21-speeds for 4'10"-5'2"
Size 18" mountain bike with 21-speeds for 5'6"-5'10"
This 18-speeds hybrid has an Size 16" and fits riders 5'2"-5'6"
This 1-speeds hybrid has an Size 18" and fits riders 5'6"-5'10"
Size 19" road bike with 10-speeds for 5'1"-5'3"
Size 23" mountain bike with 18-speeds for 6'4"-6'6"
Size 22" road bike with 21-speeds for 5'9"-5'11"
This 18-speeds hybrid has an Size 21" and fits riders 6'1"-6'4"
Size 20" road bike with 12-speeds for 5'5"-5'7"
Size 21" road bike with 10-speeds for 5'7"-5'9"
Size 21" mountain bike with 18-speeds for 6'1"-6'4"
Size 24" road bike with 12-speeds for 6'3"-6'5"
Size XS mountain bike with 21-speeds for 4'10"-5'2"
This 21-speeds cruiser bike with frame Size 17" fits riders 5'6"-5'10"
Size 23" road bike with 10-speeds for 6'1"-6'3"
Size 19" road bike with 12-speeds for 5'1"-5'3"
Size 16" mountain bike with 21-speeds for 5'2"-5'6"
This 3-speeds cruiser bike with frame Size M fits riders 5'5"-5'10"
Size 23" road bike with 12-speeds for 6'1"-6'3"
This 24-speeds hybrid has an Size 21" and fits riders 6'1"-6'4"
city bike Size 22" frame for 6'1"-6'4". Size 24" road bike with 10-speeds for 6'3"-6'5"
Size 20" mountain bike with 15-speeds for 5'10"-6'1"
Size 19" road bike with 1-speeds for 5'1"-5'3"
city bike Size 21" frame for 6'1"-6'4". Size 21" road bike with 12-speeds for 5'7"-5'9"
Size M mountain bike with 10-speeds for 5'5"-5'10"
This 10-speeds hybrid has an Size 19" and fits riders 5'10"-6'1"
Size 20" road bike with 27-speeds for 5'5"-5'7"
city bike Size 19" frame for 5'10"-6'1". Size S mountain bike with 18-speeds for 5'2"-5'6"
This 1-speeds cruiser bike with frame Size 19" fits riders 5'10"-6'1"
This 21-speeds hybrid has an Size 18" and fits riders 5'6"-5'10"
Size M mountain bike with 18-speeds for 5'5"-5'10"
This 15-speeds hybrid has an Size 19" and fits riders 5'10"-6'1"
Size 19" mountain bike with 21-speeds for 5'10"-6'1"
Size 22" road bike with 10-speeds for 5'9"-5'11"
city bike Size 24" frame for 6'4"-6'6". This 21-speeds hybrid has an Size 14" and fits riders 4'10"-5'2"
This 21-speeds hybrid has an Size 17" and fits riders 5'6"-5'10"
Size 17" mountain bike with 21-speeds for 5'6"-5'10"
This 21-speeds hybrid has an Size 21" and fits riders 6'1"-6'4"
city bike Size 18" frame for 5'6"-5'10". 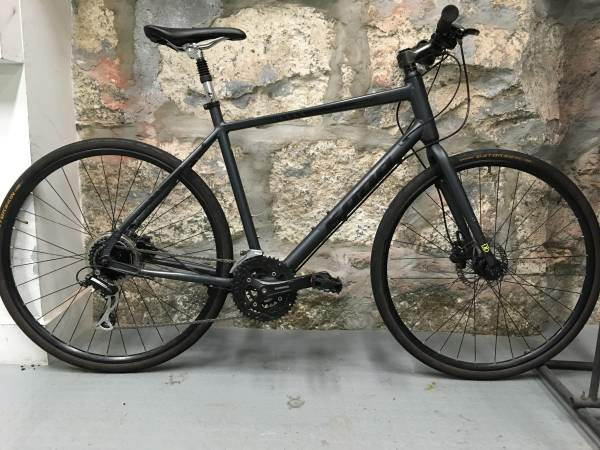 This 18-speeds hybrid has an Size 18" and fits riders 5'6"-5'10"
This 21-speeds hybrid has an Size 19" and fits riders 5'10"-6'1"
Size 16" mountain bike with 24-speeds for 5'2"-5'6"
This 3-speeds hybrid has an Size 20" and fits riders 5'10"-6'1"
This 18-speeds hybrid has an Size 19" and fits riders 5'10"-6'1"
city bike Size 20" frame for 5'10"-6'1". This 18-speeds hybrid has an Size 17" and fits riders 5'6"-5'10"
Size 24" road bike with 18-speeds for 6'3"-6'5"
city bike Size 17" frame for 5'6"-5'10". 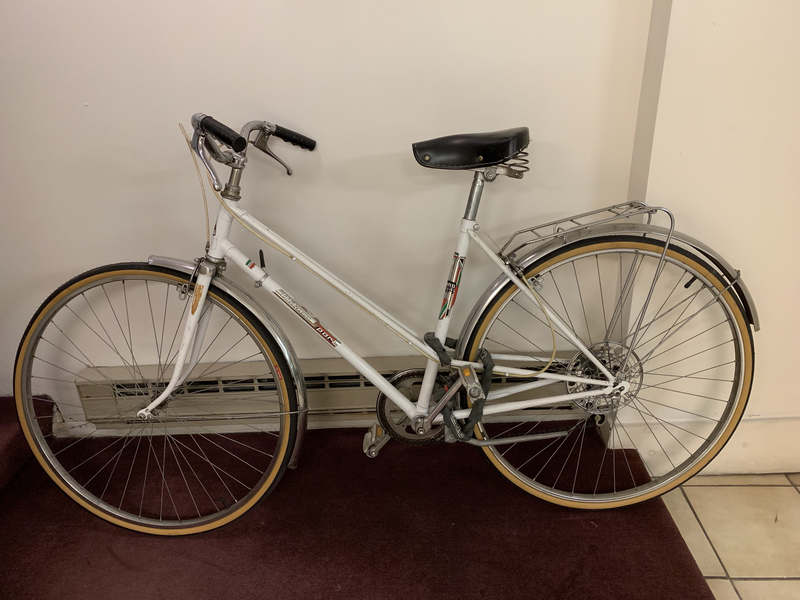 Size 21" road bike with 24-speeds for 5'7"-5'9"
This 1-speeds hybrid has an Size 17" and fits riders 5'6"-5'10"
Size 17" mountain bike with 15-speeds for 5'6"-5'10"
This 1-speeds cruiser bike with frame Size 18" fits riders 5'6"-5'10"
This 5-speeds cruiser bike with frame Size 18" fits riders 5'6"-5'10"
Size 23" mountain bike with 21-speeds for 6'4"-6'6"
Size L road bike with 27-speeds for 5'9"-6'0"
This 15-speeds hybrid has an Size 21" and fits riders 6'1"-6'4"
Size 23" road bike with 27-speeds for 6'1"-6'3"
Size 14" mountain bike with 24-speeds for 4'10"-5'2"
This 10-speeds cruiser bike with frame Size 18" fits riders 5'6"-5'10"
Size 20" road bike with 21-speeds for 5'5"-5'7"
city bike Size 23" frame for 6'4"-6'6". This 18-speeds hybrid has an Size 13" and fits riders 4'10"-5'2"